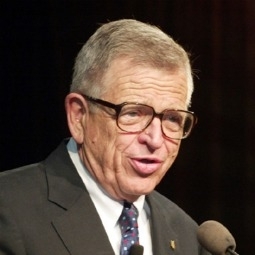 Felon Chuck Colson: Gays Are Controlling Our Thoughts! Earlier today I posted a long quote from Kathy Baldock, an Evangelical Christian, about how the supposed “persecution” of Christians in this country simply doesn’t exist. Fundamentalists these days have taken to professionally and loudly whining about how they’re suffering at the hands of the rest of the population, when what is actually happening is a lot simpler — namely, they’re finally starting to get treated more equally to the rest of us, slowly but surely. For many years, people really didn’t question the idea of conservative Christians having a special place in our society. Now people are questioning it more and more, and it’s making our country better. Yeah, Chuck Colson and Tony Perkins and the rest of them are so obviously being “intimidated into silence.” That’s why we’re quoting their words verbatim to spread to a larger audience. Everyone boo hoo for Chuck.